A HANDFUL OF DUST-EVELYN WAUGH-YOU CHOOSE THE ENDING! Followers of this blog know that I enjoy delving back among the best known authors and retrieving works that I have not read. Evelyn Waugh’s A Handful of Dust is one more example. Written in 1934, A Handful of Dust is listed as number 34 of the Modern Library’s 100 Best English Language Novels of the 20th Century. In his introduction to the Everyman’s Library publication , William Boyd quotes from Waugh’s Labels, a travel book Waugh wrote after his own broken marriage. “Fortune is the least capricious of deities, and arranges things on the just and rigid system that no one shall be very happy for very long.” Are many great novels autobiographical? You bet! And so the story of infidelity unfolds often reminiscent to me of Idina Sackville in The Bolter although a littler less tawdry! In an amazing twist, the reader of the Everyman’s Library publication of A Handful of Dust gets the option of the two endings! When the book was to be serialized in an American magazine they determined Waugh’s original ending too dreary so he wrote a new one! I like the latter the best which includes a sort of just rewards for Tony Last. I think it made Waugh feel better. Enjoy! The best known of Waugh’s novels is Brideshead Revisited ( 1945) and later Sword of Honor ( 1952-1961), his World War II Trilogy. A Handful of Dust and Brideshead Revisited were made into motion pictures. A KITCHEN CABINET OF HISTORIANS FOR BARAK OBAMA! Recalling the importance and power of President Harry Truman’s Kitchen Cabinet, brought vividly to life in David McCulloch’s Truman, the thought occurred to me that it might not be a bad idea for President Obama to appoint his own Kitchen Cabinet to help think through some of overwhelming issues facing the president and the nation. There is a wellspring of talent in the world of books and historians from which might come some unique and a-political ideas and possibly answers. Here we go Mr. President with a suggested list of invitees! My guess is they would all not only come but bring some well-educated perspective. 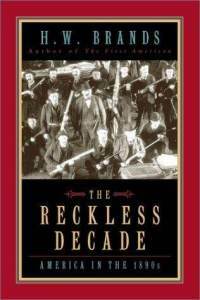 The body of work by the authors of these works of history is a national resource! They could very well be the best and most productive “committee ” in Washington , DC. Go for it Mr. President. You will be in great company! I Would enjoy hearing suggestions from my blog readers for the Great Historian Kitchen Cabinet at the White House! THE HELP THE MOVIE MEETS ALL EXPECTATIONS! It is always rewarding when a screenplay created from a book you have enjoyed and recommended hits the mark. The movie The Help does just that. I loved every minute of the film! 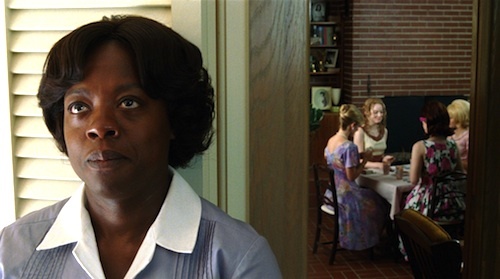 The Help, is the story of Aibileen, Minny and other maids in 1950s Jackson, Mississippi. ( See my earlier post in the GGR Archives) Aibileen’s life is the centerpiece of the film. Often in the translation to a movie, the importance of individual characters are repositioned and the plot is changed. Thankfully that did not happen with The Help. The book’s strong message remains in the film. High praise goes to Director Kate Stone who with equal creativity wrote the screenplay. Congratulations to Viola Davis ( Aibileen), Emma Stone ( Skeeter), Octavia Spencer, ( Minny) and the entire cast. Their performances were extraordinary. Not to be overlooked are the talents of Jessica Chastain ( Celia) and Bryce Dallas Howard (Hilly). I hold to my theory that you will enjoy this wonderful movie even more if you have read the book, even easier now that it is out in paperback. Prodigious praise to author Kathryn Stockett and Director Kate Stone! 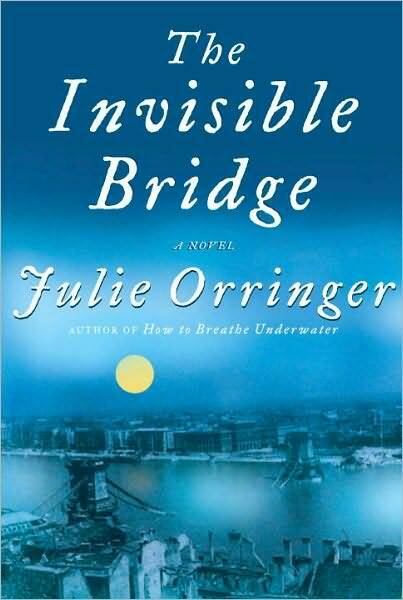 Happy to see that Julie Orringer’s Invisible Bridge has made the New York Times Top 100 Fiction For 2010. Well deserved recognition for a great young author. Check our my initial review in the Gordon’s Good Reads archives! Congratulations! 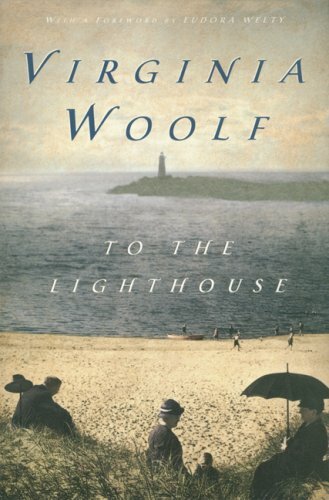 No matter what list, Woolf’s To The Lighthouse appears as one of the 100 Best Novels of the Twentieth Century! Surely many of you have already enjoyed this heralded work but did so at a time in life when it would have been impossible to appreciate the book’s insight into family relationships, love, estrangement, the unspoken word, jealously, empathy and hope. A summer home gathers an annual collection of family and friends. Generations explore common interests, new love, old hatreds, bad habits, disappointments and the expanse of silence and misunderstanding that can exist within the close proximity of summer rituals. Allegory and metaphor play an extraordinary role in Woolf’s story. Those that know personally of these gatherings will see in the mirror the silent spaces that exist even in the most intimate relationships. Kind words never spoken, emotions not expressed, anger never stated, forgiveness withheld, passion restrained, while life goes on around the missed opportunities found in a perfectly orchestrated daily schedule and of course the every-present constant of the lighthouse. To The Lighthouse is about the human spirit and this 1927 novel set on the coast of Scotland could very well be a 21st Century family gathering in Quogue, Blue Hill, Montauk or Kennebunkport. Journey To The Lighthouse with Virginia Woolf. You could not ask for a better companion. 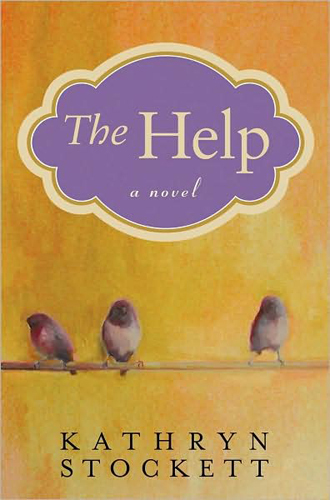 ONE WEEK TO READ THE HELP BEFORE MOVIE RELEASE! Just as I had recommended that you read Water for Elephants before seeing the movie I am making an educated guess that the same will be true for The Help by Kathryn Stockett. Based on the number of weeks of the NY Times Best Seller List, many have already done so, but I believe it will make a huge difference in appreciating the movie. Go for it while there is still time! 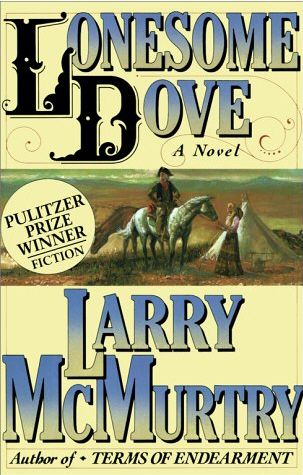 LONESOME DOVE SERIES-GOOD FOR AN ENTIRE SUMMER! On the top shelf, back in the upper right hand corner sits Lonesome Dove, the 1985 Pulitzer Prize winner by Larry McMurtry. Who could forget Lonesome Dove? A blockbuster movie, television series, country music iconic song all attributed to McMurtry’s storytelling. All of the elements of a great western epic are incorporated in Lonesome Dove. Texas Rangers, a love story, Indians, a lawless frontier, and the sheer beauty and adventure of a cattle drive from Texas to Montana. Recalling the pleasure of reading Lonesome Dove brings into focus the entire Lonesome Dove Series. Lonesome Dove (1985), Streets of Laredo (1989) Dead Man’s Walk (1996) Comanche Moon (2008). Although written in the aforementioned order, if you wish to read them in the chronological order of the plot setting you would begin with Dead Man’s Walk ( set in the 1840s) dealing with the earliest adventures of Texas Rangers Augustus McRae and Woodrow Call set around the Santa Fe Expedition of 1841. You will also be introduced to Comanche worrier Buffalo Hump and several other important characters that appear in the later novels. Comanche Moon is set in the 1850s-1860s with McRae and Call in pursuit of the Comanche horse thief Kicking Wolf. Also entering the storyline is McRae’s love interest Clara Forsythe, and his rival Bob Allen. Buffalo Hump leads the Comanche Nation to war with a detailed plot of characters and twist and turns moving through the Civil War and to Lonesome Dove. Streets of Laredo is the fourth and final book in the series, set in the 1890s. Texas Ranger Woodrow Call is now a bounty hunter tracks a Mexican Bandit who is praying on the railroads. Gus McRae appears protecting settlers from renegade Indians and bad folks in general. Loves are won and lost; the paternity of certain children is surprisingly identified. Judge Roy Bean, “The Law West of thePecos” is hanged. I read Lonesome Dove first, set in the mid to late 1870s but having done so my next step is to return to the beginning of the chronological order of the plots and pick up Dead Man’s Walk. McMurtry’s ability to establish and carry forward characters reminds me of Tom Clancy with Jack Ryan, Jack Ryan Jr., et al. McMurtry has given us Augustus Gus” McCrae, Woodrow F. Call, Joshua Deets, Pea Eye Parker, Jake Spoon, Clara Forsythe Allen, Maggie Tilton, Lorena Wood Parker, Blue Duck, and Buffalo Hump. You will be fascinated with all of them.